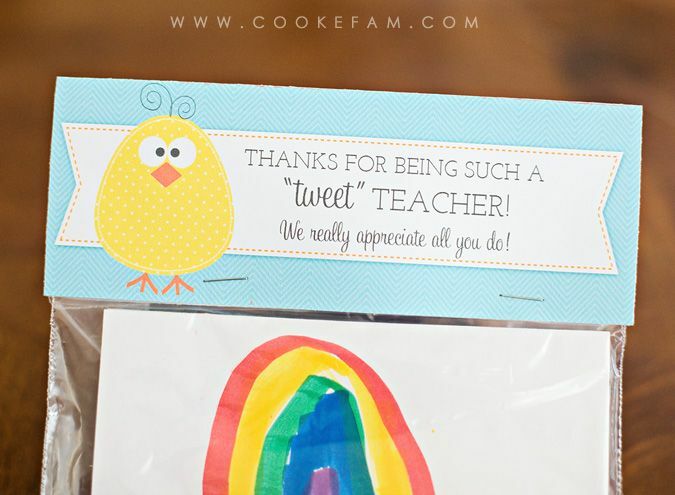 Last week was Teacher Appreciation Week at the boys' preschool. And we do appreciate our sweet teachers. And the fact that they really are sweet inspired this little bag topper. 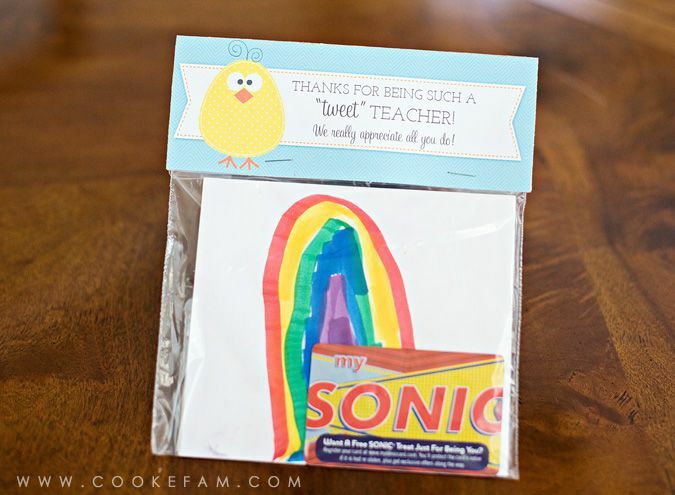 The boys made cards for each of their teachers and we included a Sonic gift card (because we did Target gift cards at Christmas). And there's also a sweet treat in another baggie behind the card...our favorite and super-speedy chocolate cookie recipe that the boys' teachers have grown to love.